HR Consultant of the Year. 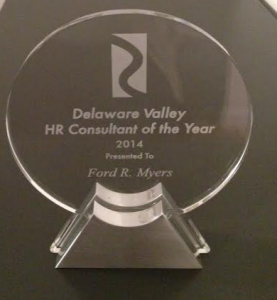 Ford R. Myers, President of Career Potential, LLC, received the Delaware Valley’s “HR Consultant of the Year” award on Thursday, May 15, 2014. The 14th annual gala dinner event was held in the “Ballroom at the Ben” at the Franklin in Philadelphia. 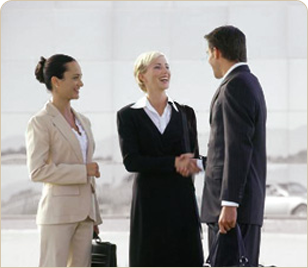 The Delaware Valley HR Person of the Year Award was developed in 2001 to celebrate the human resources profession, and to recognize those in the HR field who exemplify outstanding achievement within the local human resources community. In addition to running Career Potential LLC, Myers is a career coach, speaker and author of “Get The Job You Want, Even When No One’s Hiring,” The Delaware Valley HR Person of the Year Award is a joint effort between HR Association of Southern New Jersey, Chester County Human Resource Association, Delaware County SHRM, Delaware SHRM, Greater Valley Forge HR Association, Philadelphia SHRM, Tri-State HR Management Association chapters of the Society for Human Resource Management (SHRM).